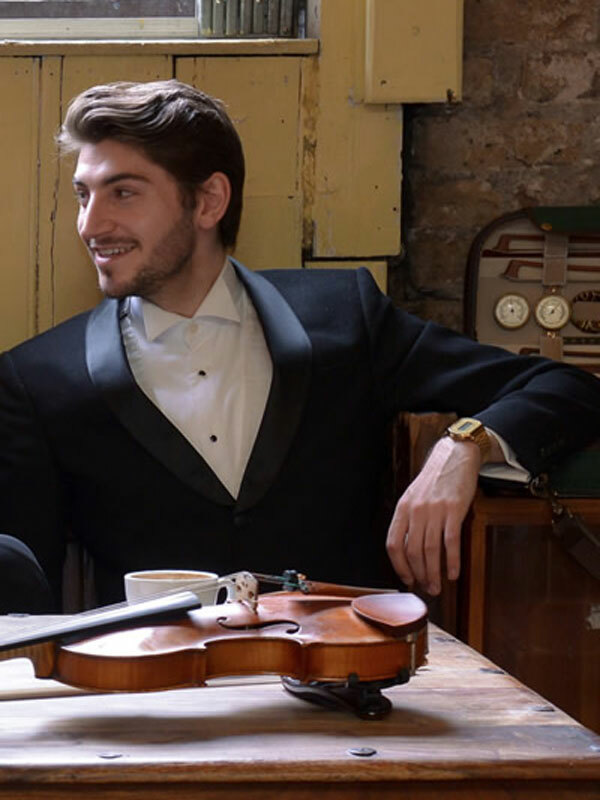 One of the Adderbury Ensemble’s regular current members, British violinist Martyn Jackson was born in 1988 and has performed as a solo artist and chamber musician throughout the UK, much of Europe and the Middle East. Martyn studied at the Hochschule für Musik “Hanns Eisler”, Berlin with Professor Stephan Picard and is a graduate of the Royal College of Music, where he studied with Professor Itzhak Rashkovsky. He was a selected artist on the Countess of Munster Recital Scheme in 2013 and is a Concordia Foundation Artist. Martyn made his recital debut at the Southbank Centre’s Purcell Room, as part of the Philharmonia Orchestra Martin Musical Scholarship Fund Prize Winners’ Recital Scheme. He was also invited to perform with principal players from the Berlin Philharmonic Orchestra in Milan and Rome. Previous seasons have included performances of the Brahms, Elgar, Prokofiev, Sibelius, Tchaikovsky, Mendelssohn and Stravinsky concertos, and a European tour with cellist Henri Demarquette encompassing venues such as the Philharmonie and Konzerthaus in Berlin and Les Invalides in Paris. As an orchestral musician, Martyn has frequently served as Assistant Concertmaster of the LSO, Philharmonia Orchestra and BBC SSO.